Parking Available on Cunningham Pier for $2.60/hr to a $10.80 max. Train: Vline operates a train service to Geelong. Cunningham Pier is a 9 minute walk from the station (750m). 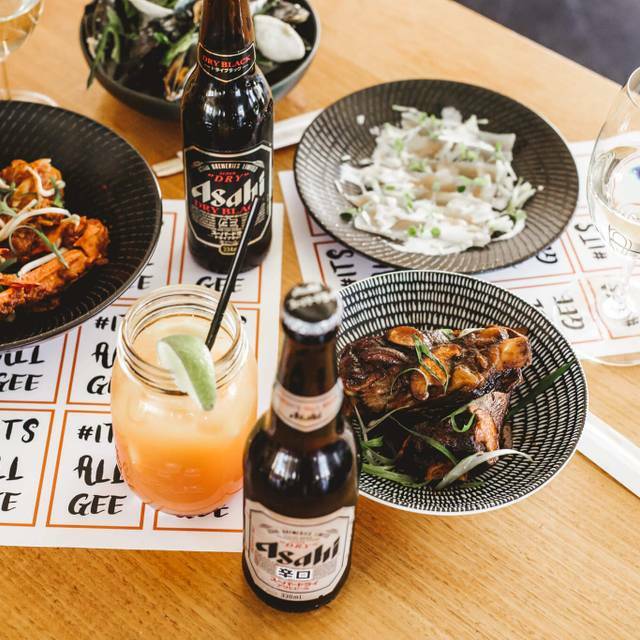 Geelong’s newest dining adventure starts here on The Pier at Wah Wah Gee. 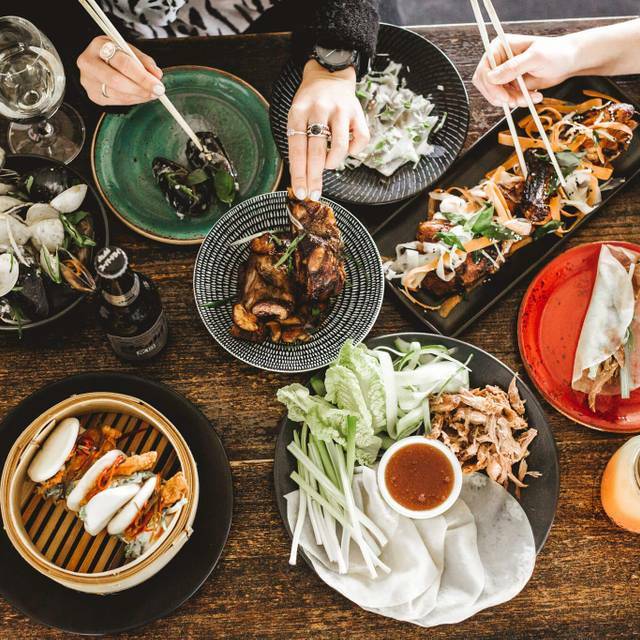 Swing by with your friends and take a journey through our collection of Asian inspired sharing dishes ranging from yummy dumplings in zesty broths, to spicy steamed buns and hearty green chilli curries – cleverly created by some of the best kitchen ninjas in town. 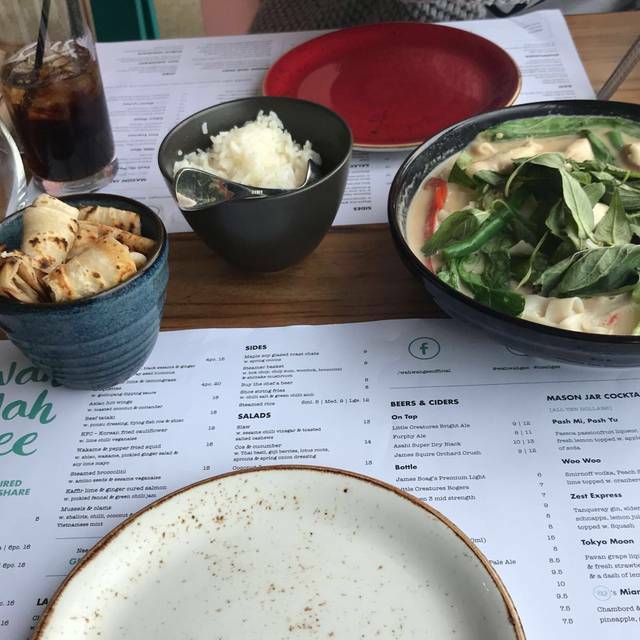 Here at Wah Wah Gee we’re passionate about creating quality, fresh, and fun sharing food at a great price, in a great location, with an even better atmosphere. And with Wah Bah just upstairs, you can even kick on and shake a few tail feathers after your feed. Great place but way overpriced. Kinda killed the enjoyment of the night when we got the bill. The food was delicious but I think I ordered too much. Best to order some and then go back for more if you have room. It gets busy so not so great for quiet date nights. Everything was pretty good but my brocollini bao was undercooked (the actual brocollini batter) and still tasted of flour. The previous time i came here it was amzing and thats why i returned. I understand this may just be a 1 off but i think you should deffently inform the chefs that this can happen and just to ensure its cooked before severing. Thanks everything else was nice. Enjoyed most of our meals. 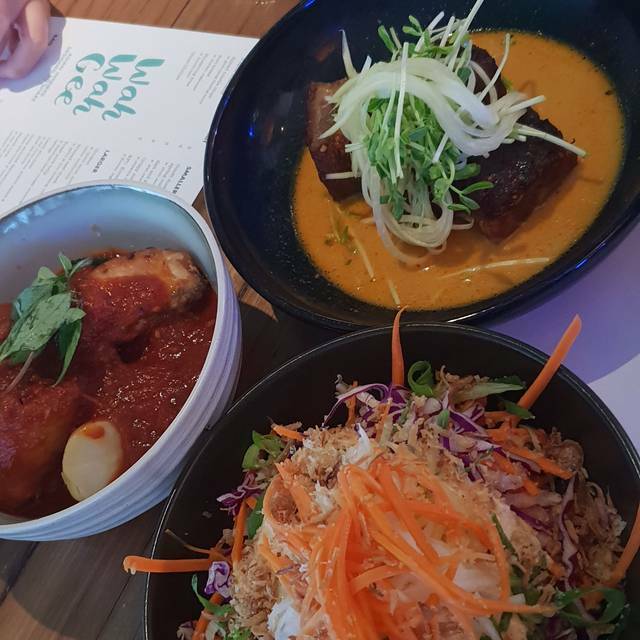 Vegetable curry, lamb curry, duck spring rolls and the cocktails. However the 2 servings of Boa buns weren’t that good which was disappointing. They were on the cold side and lacked enough filling. The calamari wasn’t crispy the oil dripped off. The waitresses are a credit to your business. Excellent service. Not sure if I would come back. Phenomenal service, our waitress Tara was amazing ! The food was yummy and good value for money ! Amazing food! Also amazing amount of food in the “Feed Me” option- we couldn’t eat it all & had the option to take it home. Staff upbeat & eager to assist. Just a great evening, thank you so much Wah Wah Gee you’re AMAZING! Great good. Great service. Had the Feed Me feast and was definitely not disappointed in the amount of food received. Just a suggestion to label how hot/spicy dishes are on the menu. Feed Me: was good, but main dishes had no meat and too many dishes. Would rather less dishes and more quality for main. Entree was really good. Always a hit! Whenever I'm in Geelong Wah Wah Gee is always consistently awesome. Ambiance was nice although we got put on a table near the hallway so had people walking through the the bathrooms and knocking the back of my chair. The prawn and ginger dumplings were delicious! The wahsaman chicken curry had a very distinct tomato base which was not what I was expecting. It tasted closer to a basic bolognese base than a curry. Price was on the dear side for 2 people but if you had a number of friends and shared plates, it would be a good place to go. Absolutely amazing I had been there a 2 years ago and it was great then, change in menu since then. Took my Daughter for her birthday and she loved it. Requested a table on the water and that's were sat. I would highly recommend to anyone who loves Asian food by the water with great atmosphere and really good service!! Can’t wait to come back! All the food was delicious, coffee was a little average. The lighting here is beautiful and the view out is amazing! The Tokyo moon is the best drink I've ever had in my life. 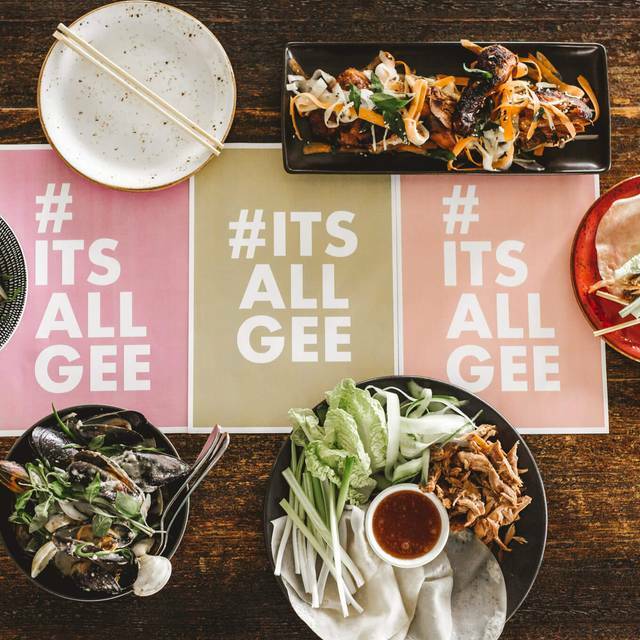 Wah Wah Gee has become a Geelong staple. It’s Professional, up to date and in prime location. Amazing atmosphere, food & cocktails. Highly recommend! Scrumptious food, wonderful service, fabulous venue! Quite expensive, but probably paying for the water view & not the food. Menu was ok - not a great selection, & food was good (not great). Staff were very friendly. Not a place that would become my go-to restaurant for a meal, but maybe only special occassions for drinks & tapas. Amazing service! As a waitress I know it can be hard to maintain good communication with customers and stay on top of tables but this was a great experience. We love coming in! Also amazing for someone with a lot of food allergies as the staff were more than happy to go over the menu with me and ask upon seating if there were any food requirements. Service was excellent, food and drinks were delicious, overall wonderful experience and I'll definitely be visiting again! Amazing experience. Spent 30 mins in the upstairs bar before our reservation, beautiful views and great atmosphere. Were then seated downstairs looking out onto the bay. We ordered the 'feed me' option for 52$ each, and we were stoked. So so much food, and lots of options to fit dietary requirements. The food was superb, and the entire menu was put together so well. Great cocktails too, and ofcourse lovely service too. Such a terrible experience. We waited for about one hour for the food. And the Bao even not warm enough. That is really unacceptable that waste such a long time for cold food. When I asked about our food process, a waitress just told me “it’s coming soon” she didn’t even checked. Never go there again. Great to go out in Geelong late on a Saturday night to a restaurant that is full of people and the atmosphere is so upbeat. The food is always fantastic. The food was over-priced for what it was, and the music was too loud for me to hear my fellow diners. Unfortunate, because the service was good and I had heard good thing about the place. love the relaxed feel of this place – like a comfortable dining room in a friends home. I definitely will return to try more dishes. The bao buns were amazing and the zest express cocktail was refreshing. Everyone loved the cocktails and thought they were good priced. Location is fantastic on the pier. So wonderful to hear Kaktusk that your family felt they were catered for and that you all enjoyed your meals! I shall pass on your comments to both the wait staff and kitchen staff. Thank you for letting others know of your experience dining with us and that you felt all ages were accommodated for : ) Enjoy the rest of your week! Had a wonderful dining experience at Wah Wah Gee last night. Perfect location on the waterfront. Could not fault a thing, easy booking online, very attentive service, taken straight to our seats. We decided on the ‘feed me’ me option which was fully explained to us, we knew exactly what was coming out to us; a selection for entree and then another selection for main. It was exciting and delicious, we enjoyed everything that came out. 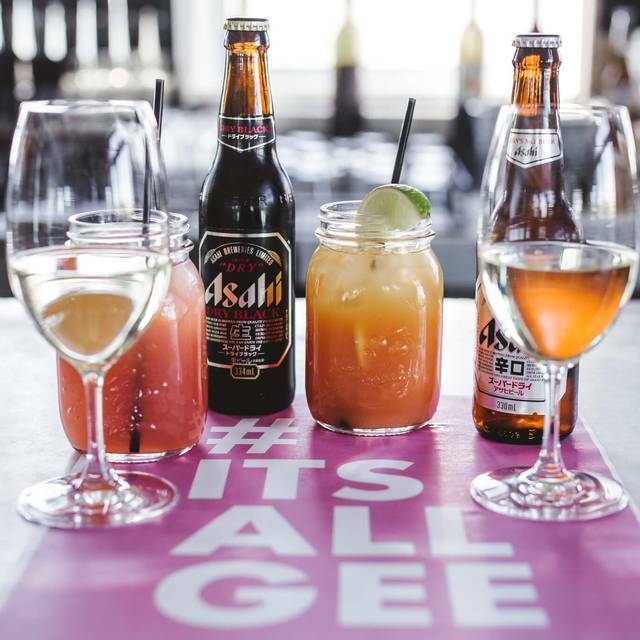 A great way to taste a few dishes that we may not have ordered on their own. We probably would not have ordered the chicken curry but so glad we got to taste it, it was perfect, not too hot and the chicken was so succulent. We also felt very taken care of by the server who explained the dishes to us and reminded us to dip the rotti bread into the curry. The vegetable dishes were lovely. I loved all the exquisite crockery that our dishes were served in. The music and noise level was a little loud but I think that says a little more about us being in the ‘older’ approaching 50 age category! We had a wonderful night and will definitely be back, thank you. Great food and service! A little on the loud side but was Valentine’s Day and packed so to be expected! Will definitely do it again! My partner and I book a table here for Valentine's very far ahead, with specific requesting for a window seat, we arrived early, and we're taken immediately to the opposite side of all windows, asked if we wanted water, which we then never received until we asked for 45 minutes later. We were introduced to our assignment waitress who was "going to look after us tonight", we saw her once more ten minutes later when she bought out starter snacks, we ordered a jug off their list of drinks. Then we received our first two plates of food from a different waitress, the food was alright, but it became very apparently there was something wrong, we waited twenty minutes for our next plate, and after that fourth minutes passed and we were yet to receive our water or our jug we ordered. We did not receive any further food until we had to stop a passing worker and ask, we were bought out another course of food, which was on the set menu we paid for. We ate this, it was very dissapointing, we were meant to receive one more item of food that never ended up coming, after waiting so long my partner went up and re ordered the jug, when we received our jug, we could only taste soda water, we figured out eventually it was not even the drink we ordered, the waitress came and presented is the drink but in a regular size, this was taken to another table when we said we did not order this. We received our jug for free due to a course not coming out, a dissapointing might with a highly unorganised staff for such a great and community valued venue. Food and atmosphere was fantastic, however, it was quite noisy with the amount of people in the venue at the same time as we were. The crispy chicken bao and salt and pepper calamari is my favourite? We did call ahead and advise we were running 15 minutes late which Wah Wah Gee was extremely accommodating with which was fantastic! Great food, views and staff, would recommend. Thanks! Was a great place we didn’t realise it was on the END of the pier, next to where Smogys was years ago. 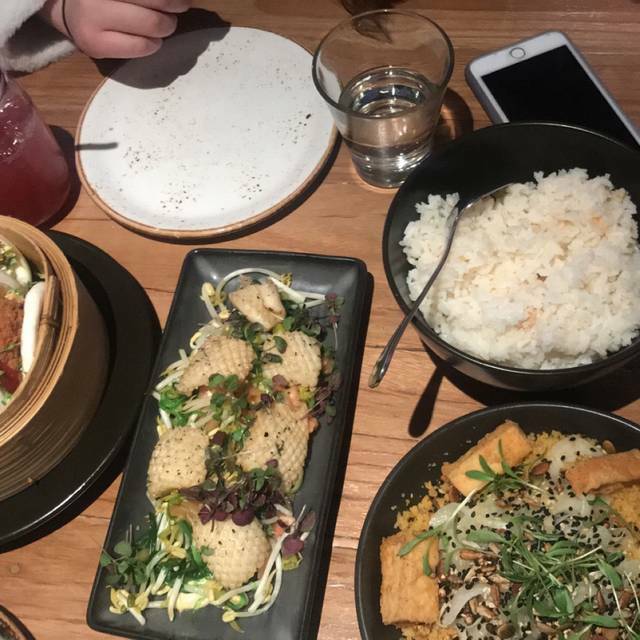 We ordered the bao, not thinking about what it was and it was great, especially the crispy chicken one! Food & Service were fantastic. Staff were very friendly. A shame we had to pay for parking, and couldn't stay longer. Cheers Rob! Just double check the parking signs next time as there are certain times when it is complimentary - we would of loved for you feel you could stay longer! Amazing food and super fast service. We will definitely be back. Had an evening business meeting/meal and can't praise the staff more for their friendly service. We spent over 3 hours but were not rushed at all. The food choices on the menu could be more but generally, the quality of the food and prices are very reasonable. Coming back soon for our next business meeting. We didn't enjoy it at all & ended up walking out due to the noise, prices & lack of things for me to eat. Hi Karen - are you able to clarify your dietary requirements? we have several alternative menus available which offer meals for FODMAP, gluten free, vegan, vegetarian and lactose intolerance. We can even discuss options with the Chef if you have specific intolerances or allergies. We must admit, our restaurant can be a hive of activity with music and chatter but there are quieter spots we can seat you if you ask our staff. Hope you give us a chance again in the future.